Can be hung on the wall (with one screw) or simply placed on a table, a desk...thus, possible vertical or horizontal memo pad utilization. Comes with a pencil with an eraser tip. 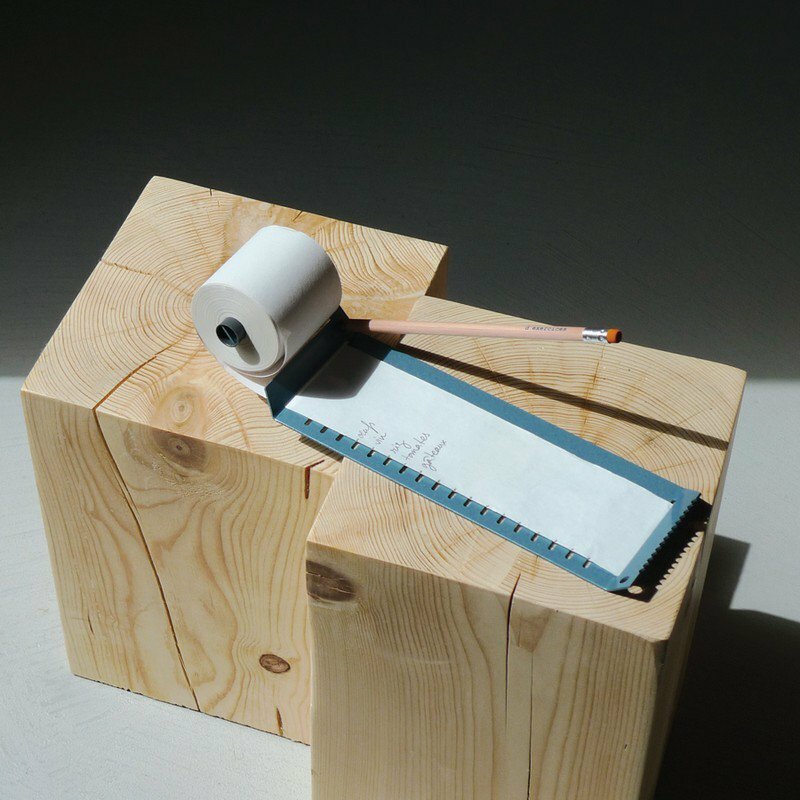 Two holes allow you to store the pencil no matter what position the notepad (vertical or horizontal). 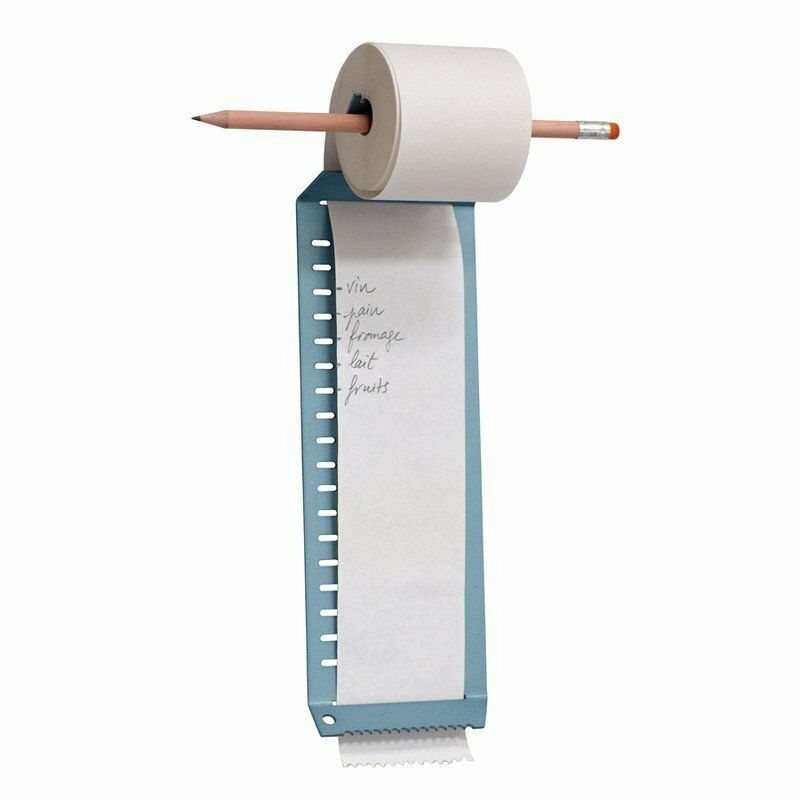 Even if this note pad comes with two 30-meter long paper rolls, you may run out, and when you do, it is very easy to get extra rolls (standard paper roll for printing adding machines, 57mm wide). 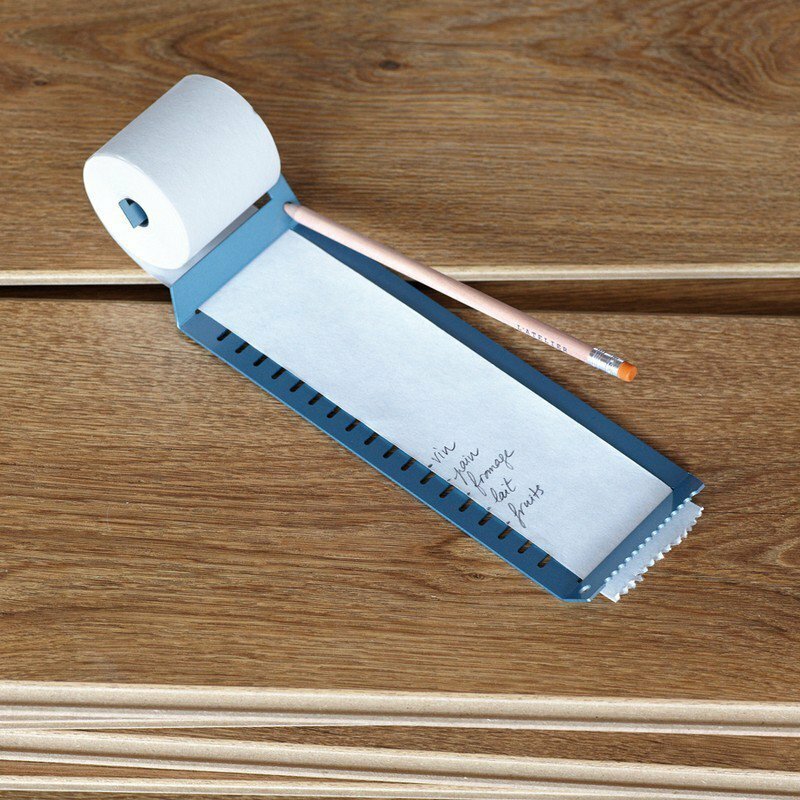 The bottom of the note pad has an efficient and serrated edge so you can cut make a quick, clean, cut. The small slots also let you draw horizontal dashes easily. general public - a familiar object for the older set, a pleasure for design fans, and fun for kids. useful - rare are those among us who don't need to write down a shopping list, a telephone number, or an address. reliable and available - once installed, the endless notepad functions even when the electricity goes out and doesn't need batteries, just a pen that works.